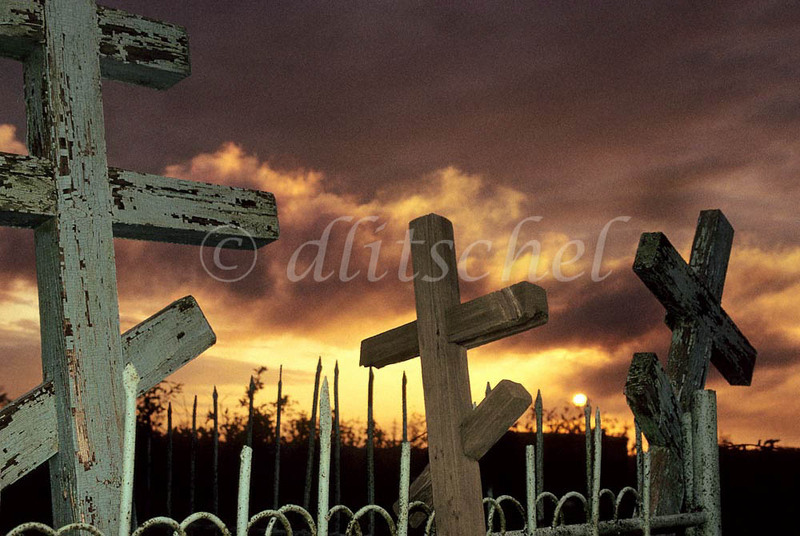 Russian Arctic Circle Cemetary, Norilsk, Siberia. Russian Orthodox Cemetaryin the Arctic Circle city of Norilsk in the Krasnoyarsk Krai region of Siberia in the midnight sun. To purchase this image, please go to my stock agency click here.